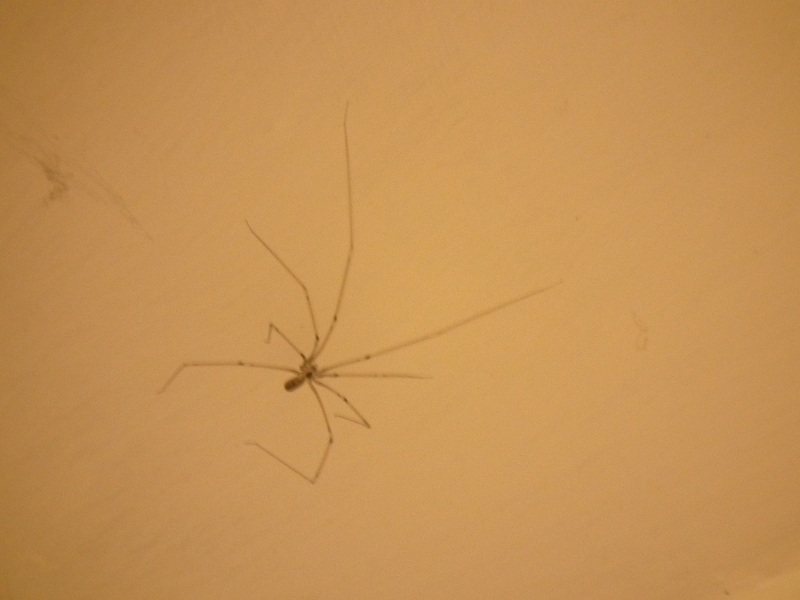 The other longtime lurker in the top corners of the stairway, this long-legged/armed/fingered/toed beast has been hanging out for a while, watching things happen and generally not being too horrible. But that’s because it’s up on high, out of my way. The size of this photo doesn’t really do justice to the thing, as my zoom/focus/lighting combo couldn’t really get it too full in the frame. This thing is pretty damn huge. Look at it’s knuckles! and the two big front things! It looks more like a shrimp. Though probably not as tasty. Scaryness: 5. Nice and high, but if it lowered itself, my reflexes would make me smash it’s tiny shrimp mind.